PSNResearch: the CRO for Agile and Emerging Biopharmas. We have proven expertise in managing studies for nerological and neuromuscular disorders including MND / ALS; Parkinson’s; Huntingdon’s and Alzheimer’s as well as research projects involving advanced, cell and gene therapy programmes for various disorders. 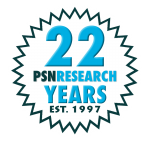 PSN has led a number of international clinical studies in neurological and neuromuscular diseases supported by highly experienced PMs and CRAs. The expertise of our teams ensures that each study is completed to the highest standards and that you can benefit from local know-how in the US and EU coupled with international reach.